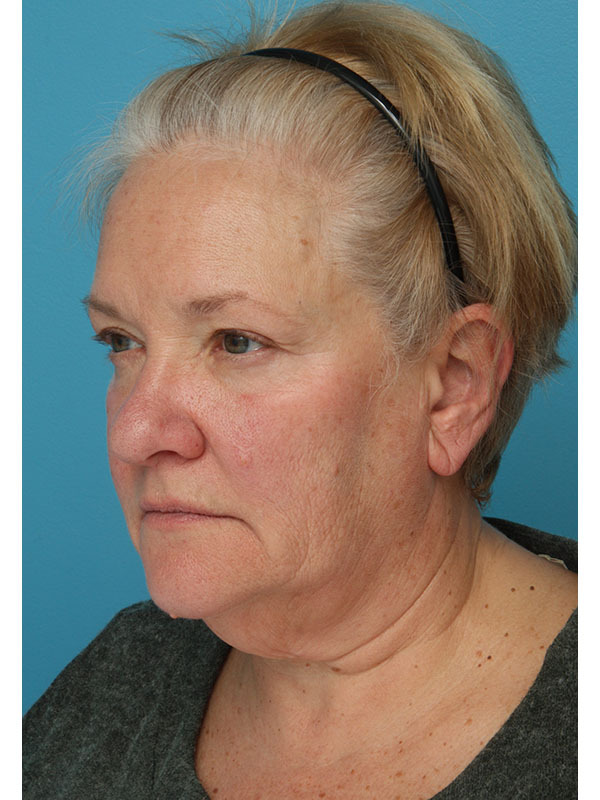 Patient testimonial following facelift, neck contour and rejuvenation - Patrick Sullivan, M.D. You have seen the artistic plan over the past week. 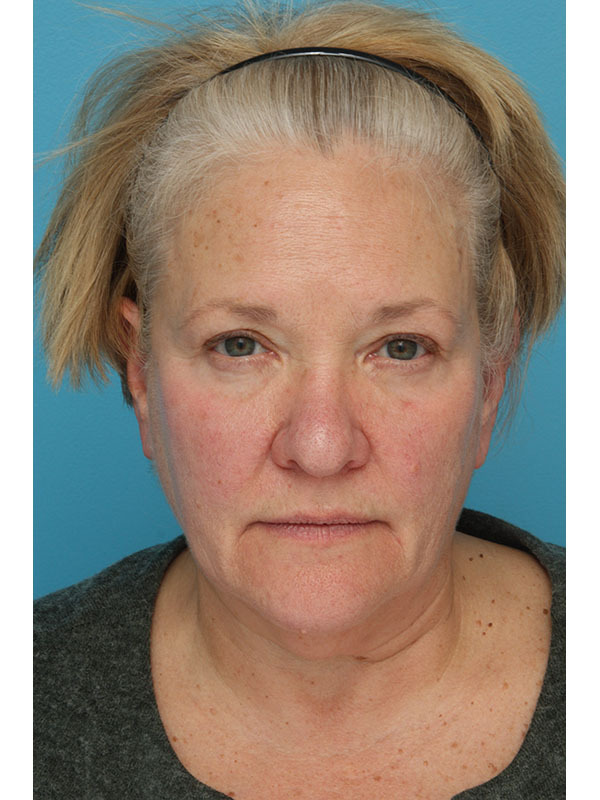 This is how she feels now at 6 weeks after her mid-lower facelift/neck contouring surgery. 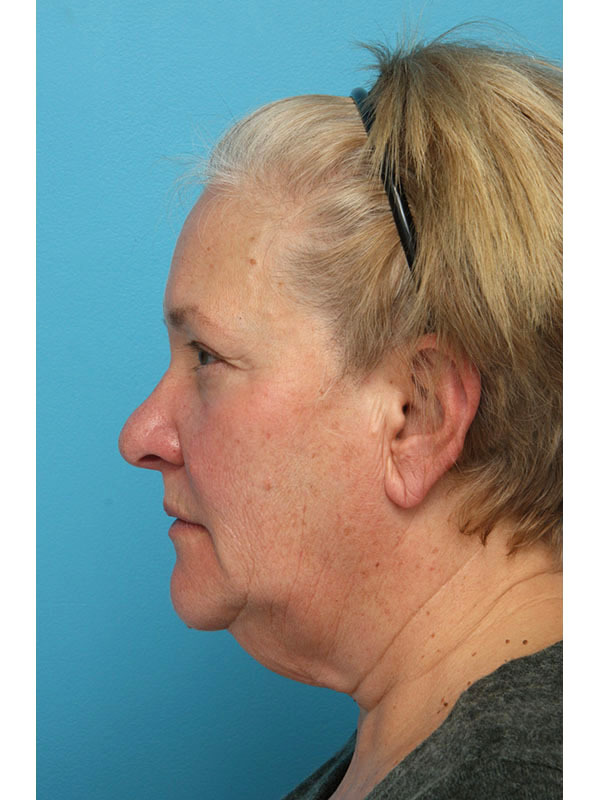 Her own fat was injected to give an improved facial shape. 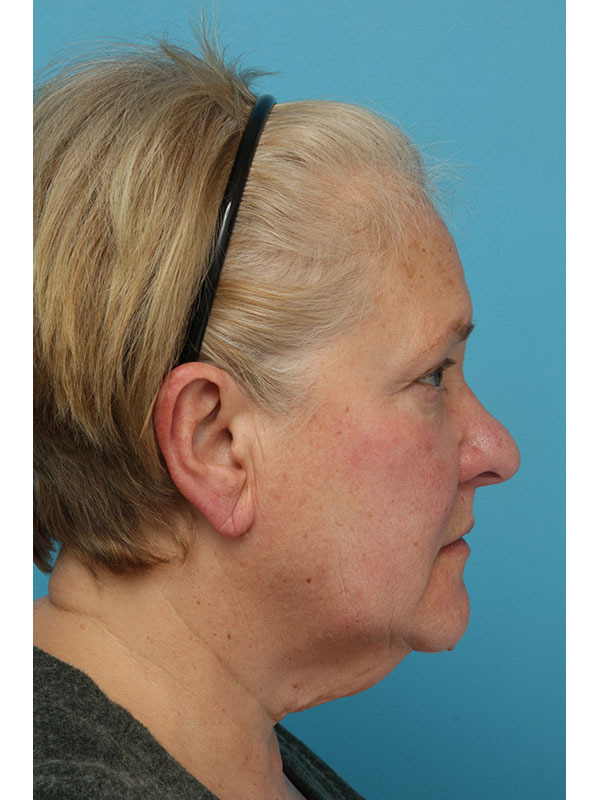 Earlobe reduction and reshaping was also included. Just look at how happy she is with the results. If you’ve considered a facelift please contact us. Dr. Sullivan: “It’s been 6 weeks. 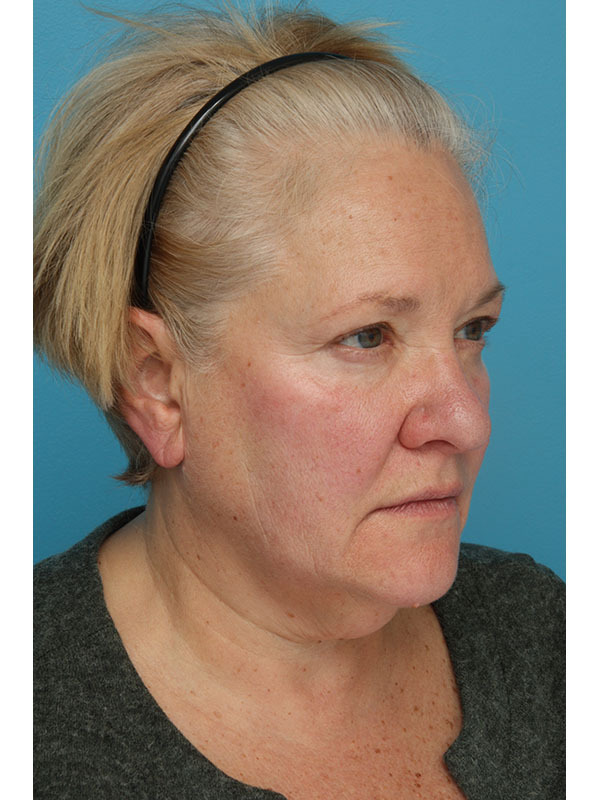 What do you think?” Patient: “Honestly, I could not be happier. I’m completely over the moon. It is something that you think about for a long time. I put a lot of thought into this. I did a lot of research, and I just had no idea that it was going to be this fabulous in the end! I’m really, really happy at 6 weeks, and I know even further down the line it’s even going to be more fabulous; so, couldn’t be happier.” Dr. Sullivan: “So, how has it changed things for you?” Patient: “Well, when I got up in the morning, I would look in the mirror, and I’ve always been a self-confident person, but I would just focus on that certain aspect of my face, especially my neck, and it just bothered me tremendously, and it really did eat away at my self-esteem. As much as I tried to tell myself- don’t worry about it, it really did eat away at it. So, to have this gone, oh my gosh, I couldn’t be better, that’s all I know! So, very, very happy.